Words have power. Shuffle them around even just a little bit and entire meanings can change. ‘Michael and Scott’s Oyster Party’ becomes ‘Michael Pedersen’s Oyster Party for Scott Hutchison’. Such a little change says so much. The event has transformed instead into a celebration of Hutchison’s life featuring powerful, playful verse from Pedersen alongside some of Hutchison’s close friends – Hollie McNish, Withered Hand and E A Hanks. The five-piece have performed together before – as the Cold Turkey Collective – so their involvement was self-evident. 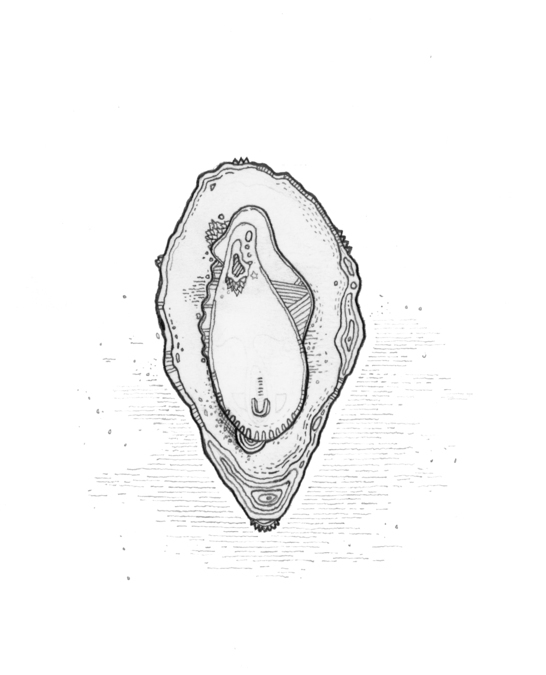 The Oyster Party’s oyster in question is Pedersen’s second poetry collection, released in 2017 and illustrated by Hutchison. As friends clearly working from the same wavelength, Hutchison’s drawings go hand in hand with Pedersen’s words as they wander the pages together: wild, sensual doodlings served on ice. Poet Hollie McNish had been planning to attend the original event in punter capacity, before being invited to take part in this new evening, this time as a pal of Scott’s and fan of his work. For her, the correlation between song lyrics and poetry is a strong one that highlights a mutual emotional stimulation and a sense of community in shared thoughts. While it’s the atmosphere and reforged camaraderie that McNish is most looking forward to, the toughest part of the evening, by her own admission, may be having to eat an oyster – she’s been a vegetarian since she was a child. Her overall ambition for the night, though, is to honour Scott with a performance worthy of his affection. Pedersen’s hopes for the evening are equally as humble. Despite being sure he’ll be too concerned with making sure everything goes off without a hitch, he also has firm plans about what he hopes the event will entail. More than anything, it’s a place for people to reminisce, share stories and remember what it is about Scott that is so special. The outpouring of grief when Hutchison passed was remarkable: fans across the world shared stories about how his music helped them through rough times, while his good and kind heart was celebrated in lesser-known anecdotes from fans and friends alike. Pedersen is ever-eloquent and un-editable when describing his old pal. yet she had never licked an oyster! rattle around, shake out a timid smile. How does tongue taste to oyster?